Democrats wanted World War III once Donald Trump won the presidency. But that obviously wasn’t their initial intent when they concocted the Russian nonsense. Assured of a Hillary Clinton victory, Democrats would continue their partnership with Russia. With 20 percent of America’s uranium and a huge Silicon Valley-like project looming, Democrats set the stage for a U.S.-Russian partnership that would leave America at the mercy of the Kremlin. Democrats shifted their strategy to keeping Trump from working with Russia. After all, Democrats invested deeply in that relationship. Danger existed in Trump finding out all they had done. So they needed to put Trump in the middle of their conspiracy. They did so by claiming that Trump partnered with Putin in which Hillary Clinton and team actually accomplished. But it doesn’t just involve Clinton. Here is more information courtesy of Time. In their article, they explain the obvious connections between the Obama administration and Ukraine, to say the least. When Vice President Joe Biden’s son, R. Hunter Biden, joined the board of a private Ukrainian oil and natural gas company this spring, he explained his new job as a legal one, disconnected from any effort to influence the Obama Administration. In a press release, the younger Biden boasted of his abilities on issues like improving corporate transparency. But the company, Burisma Holdings, did not disclose at the time the scope of their plans for influencing the U.S. government. Recently released documents show that Biden’s hiring coincided with the launch of a new effort to lobby members of Congress about the role of the company in Ukraine and the country’s quest for energy independence. David Leiter, a former Senate chief of staff to Secretary of State John Kerry, signed on to work as a lobbyist for Burisma on May 20, 2014, about a week after Biden announced he was joining the company, according to lobbying disclosures filed this month. Trump now readies his team to run things on the up and up with Putin. And Putin recognizes Trump as the new sheriff. 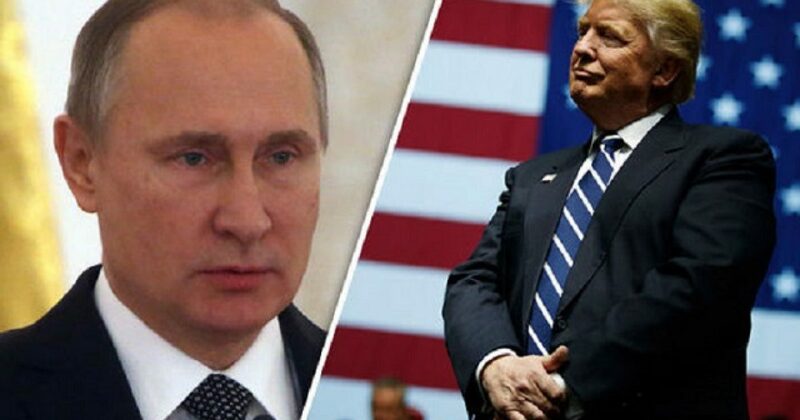 According to Yahoo News, Putin wants to work with President Trump now that the witch hunt has ended. Russian President Vladimir Putin said he’s ready to seek areas of cooperation with U.S. counterpart Donald Trump, calling the furor over election-meddling allegations part of a deep political crisis in Washington. In his first public comments on the outcome of U.S. Special Counsel Robert Mueller’s investigation, Putin welcomed the finding that no one involved in Trump’s campaign conspired with Russia in the 2016 election. Trump scored the biggest political victory of his presidency last month when Attorney General William Barr published a summary of Mueller’s assessment that there was no collusion during the campaign. The president, who’d condemned the 22-month inquiry as a “witch hunt” said he’d been completely exonerated. Witch hunts are “a black page” in U.S. history and “I would not like it ever to happen again,” Putin said. The outcome of the Mueller investigation showed that “a mountain gave birth to a mouse,” he said. And now the mouse gives birth to a real mountain. That mountain is the evidence we now have against all the Obama administration crooks. As AG Barr indicated in his testimony on Capitol Hill today, a new series of investigations begins. These investigations will target those who started the witch hunt. Imagine what happens in the soon-to-be Special Counsel is a fraction as thorough in seeking the truth as Mueller was at chasing the lies? In a strange way Democrats got their World War III. They just didn’t know it assured their own destruction.